“The Raising of America” and a view from Wisconsin. Among the 29 richest countries in the world, the US ranks 26th in child well-being. How can that be? The Raising of America, a soon-to-be released PBS documentary, explores the connection between a strong early childhood education system and a child’s overall well-being. To this point, the film reveals that the U.S. ranks 16th in child care affordability and 22nd in child care quality. In response, WECA and eight other organizations dedicated to children and families will be hosting a Wisconsin World Café in April for a variety of community leaders. Participants will participate in small-table discussions about children, families, and communities and what they need to succeed. Also attending is, Dr. Renée Boynton-Jarrett, a pediatrician and researcher, who appears in the documentary. 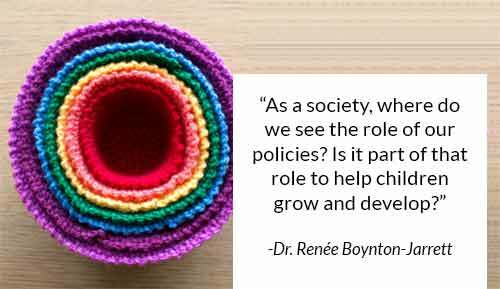 Using the metaphor of a nest, Dr. Boynton-Jarrett sheds some light on the interdependent nature of young children, their families, their larger community, and culture. For more, watch this 11 minute preview clip. Next month, WECA will highlight the event and report on the discussion. Stay tuned. This entry was posted in Uncategorized and tagged Dr. Renee Boyton-Jarrett, Early Childhood Education, early education advocacy, early learning, PBS, The Raising of America, Wisconsin Early Childhood Association. Bookmark the permalink.